Create the perfect coastal scheme for your home decor. Discover how to use nautical stripes and beautiful blue hues in your interiors that will take you back to sunny days by the sea. 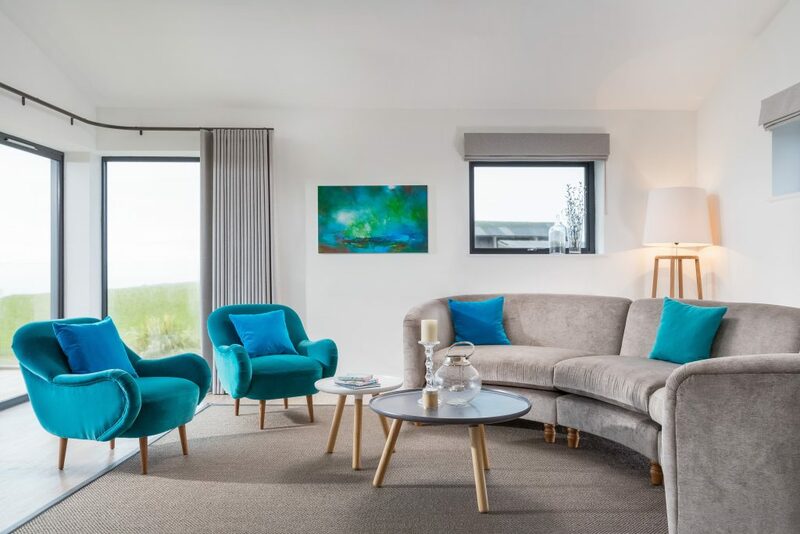 Coastal interiors can be achieved by playing with the colours of the sky, sea, sand and rolling hills. Bring the dreamy themes of the seaside into your living space and channel coastal chic with soft furnishings in calming whites, washed-out denim and cool shades of blue that pop. A weathered, faded look is the essence of coastal interiors. Decorate your room with a whitewashed colour scheme to create a space which feels light and airy. From clean, crisp white to tonal creams and sands, keeping it simple on the walls gives you options to indulge with more pattern and colour elsewhere in the room. A feature wall using striped or motif wallpaper can break the backdrop if you don’t want to stay totally neutral. 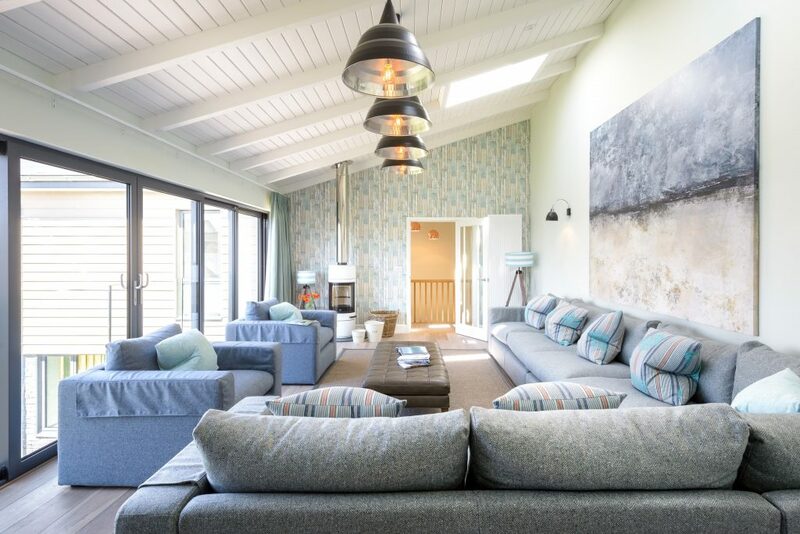 White or neutral-toned wall panelling creates a great beach hut vibe. Coordinate the scheme with sand coloured sisal flooring or carpet. 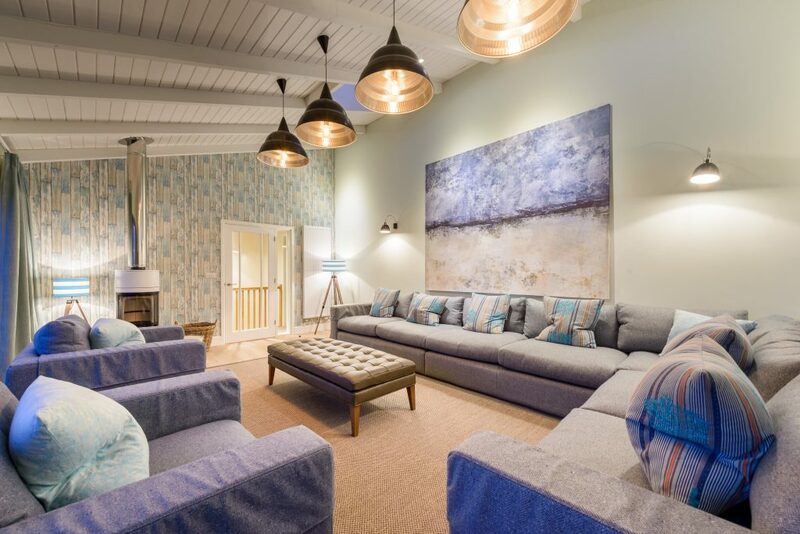 Team this décor with white linen soft furnishings and a wicker chest style coffee table. Add colour with a seascape canvas on the wall and accessorise with limed wood ornaments, and coastal lanterns. Driftwood is a wonderful material to add a feeling of relaxed coastal charm. Choose furniture crafted from driftwood, like a rustic coffee table or open shelving. 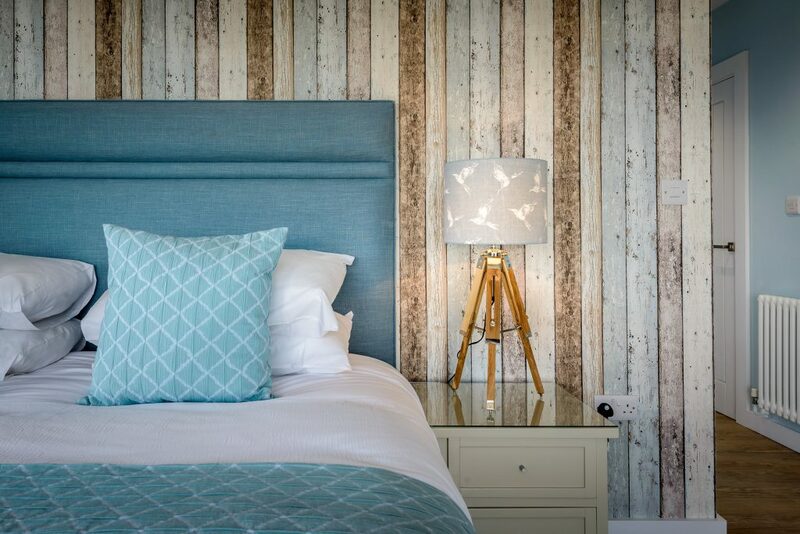 Although blue may seem the obvious choice as a connection to the sea, you can still design your room with a ‘nod’ to this style with other colours than blue, such as rust red or slate grey mixed with dusky pink. Introducing pink, grey and biscuit, to an interior space adds a softer coastal feel – reminiscent of dreamy pink skies and glowing sundowners. Replicate the easy-go spirit of holidays by the coast with bold, wide striped armchairs and bright, cheery cushions. Breathe sea-air style into your design scheme with shore-inspired prints, soft stripes and cool blues.